Whether you use Java or C is not always as important as the algorithm you use. Being smarter can make more difference. Java is temporarily the fastest for this particular knucleotide benchmark. It is quite likely that if the algorithm I used is translated to C it would be faster again. 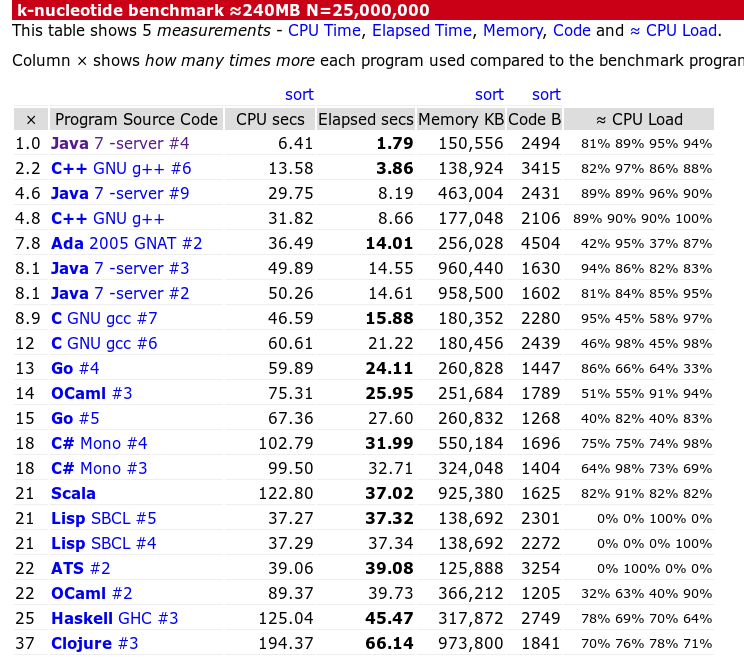 But for the moment Java is fastest because it uses a different approach in a number of key places. Benchmark results at Wed 31st August 2011.